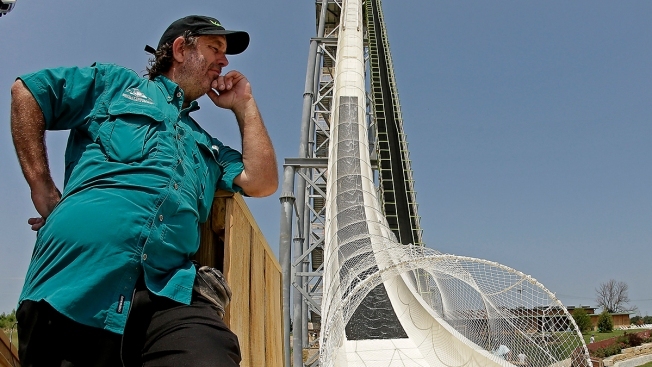 In this July 9, 2014, file photo, ride designer Jeffery Henry looks over his creation, the world's tallest waterslide called "Verruckt," at Schlitterbahn Waterpark in Kansas City, Kan.
Criminal indictments stemming from the decapitation of a 10-year-old boy on a slide at a Kansas water park could hurt owner Schlitterbahn's chances of repaying a $174.3 million loan balance, the mortgage lender has warned. EPR Properties, the Kansas City-based real estate investment trust that holds the mortgage on the Kansas attraction, said Monday in a filing with the Securities and Exchange Commission that the March indictments could hurt attendance at Schlitterbahn's water parks and "may negatively impact the likelihood of repayment," The Kansas City Star reports. The filing is the first public indication that the indictments could imperil Schlitterbahn's business. EPR Properties said if Schlitterbahn defaults on the Kansas mortgage, it could restructure the mortgage loan or foreclose on collateral that secured the loan. That collateral includes the Kansas property as well as properties in New Braunfels and South Padre Island in Texas. EPR's filing also warned that the indictments could prompt Kansas to delay or refuse to approve future development incentives. The project has been receiving STAR bond incentives that allow developers pay off certain costs by capturing state and local sales taxes generated by a project. The Kansas Commerce Department, which approves STAR bonds, is studying the Schlitterbahn situation "and considering whether and to what extent the current legal proceedings will impact future decisions," said Kevin Doel, a department spokesman. 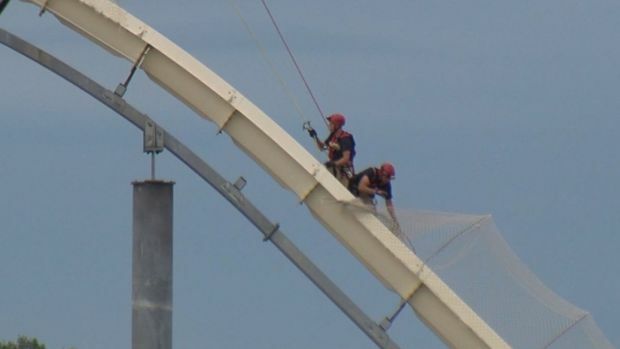 The indictments name Texas-based Schlitterbahn, its co-owner Jeff Henry, the construction company that built the 17-story Verruckt slide and two other people. The most serious charge is second-degree murder in the 2016 death of Caleb Schwab. Two other women riding with Caleb also were injured when their raft went airborne. The park is due to open May 25.